I ended up with two bottles of this beer through trades and I am glad I got them both. I enjoyed one a couple of weeks ago and I had this one yesterday. Nice looking beer with a bright yellow and thin white head. The head disappears quickly leaving only a little lacing on the glass. Aroma has lots of floral and citrus hops and the taste follows but with a very nice balance. 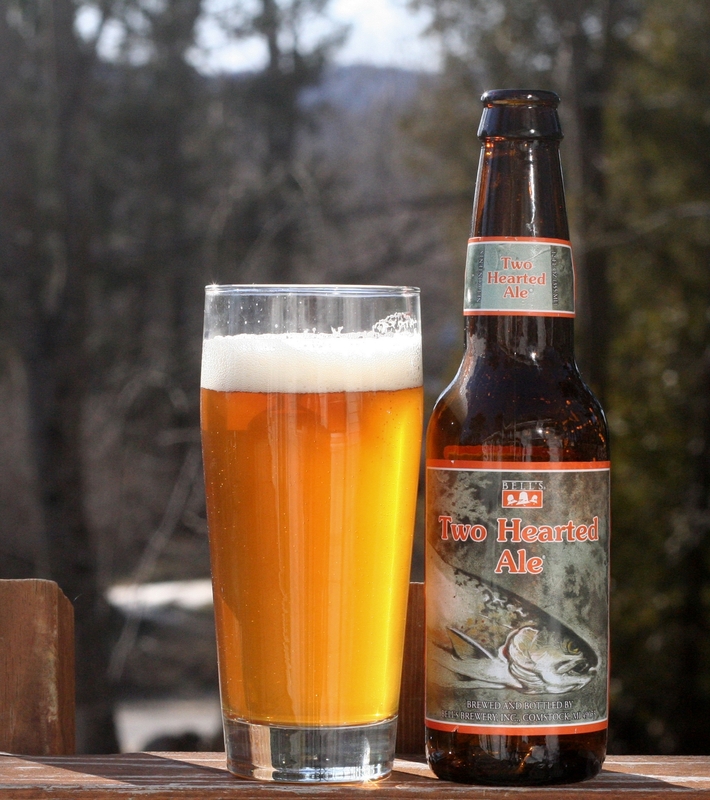 Two Hearted is refreshing and very easy to drink. Having a six pack of this in the fridge could be dangerous. This is only my second beer from Bell’s, the first being Hopslam, and so far I am impressed. Hoping to get my hands on more from Bell’s for future reviews.